“The second in a new series of single hop IPA’s from Mikkeller. 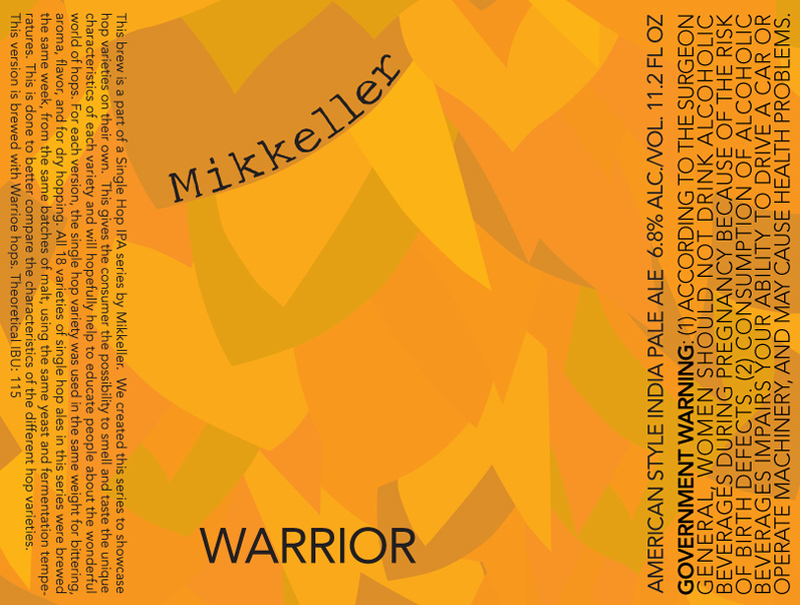 Brewed with Warrior, a classic hop type in its home country USA. An extremely fresh-hopped IPA.